C.H. 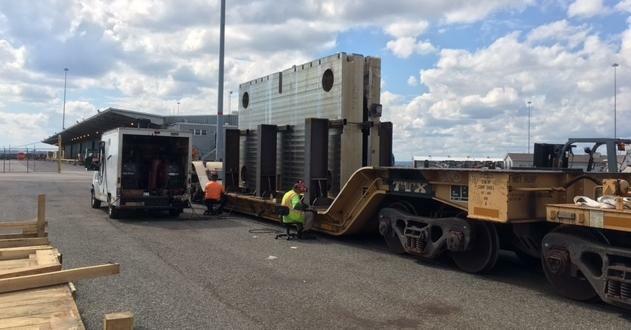 Robinson Project Logistics recently moved four replacement plates for an industrial metal press by rail from the Port of Baltimore MD to North Grafton MA. 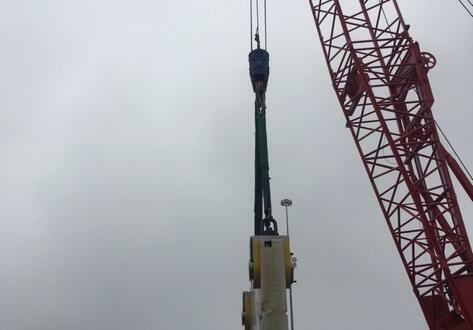 The entire shipment weighed 376mtns with the largest piece weighing 124mtns and measuring 6.7 x 3.7 x 0.6m. "Not every project is as straightforward as it might seem at first glance and this destination presented rail clearance challenges. 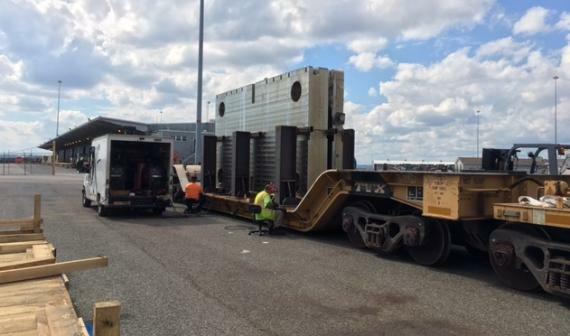 To load the railcars, the crates had to be dismantled at the port, and the plates had to be rotated into a horizontal position. It took detailed engineering to design and fabricate frames to stand the four plates horizontally and secure them to the railcars. Offsite, we worked with a local fabrication shop to manufacture the specific size of the securing devices to correctly fit the plates. 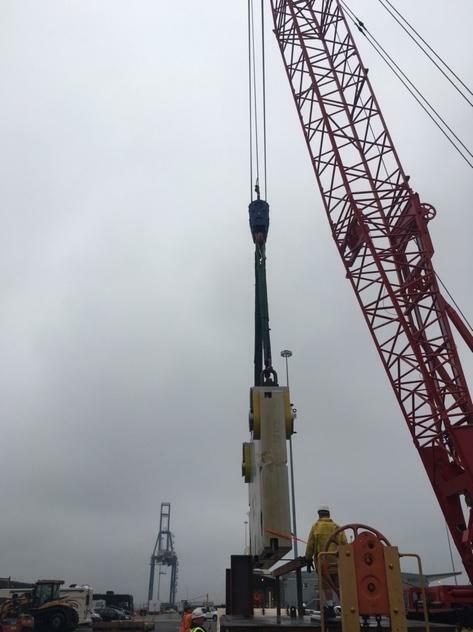 Once this was completed, we again orientated the plates to an upright position for shipping." 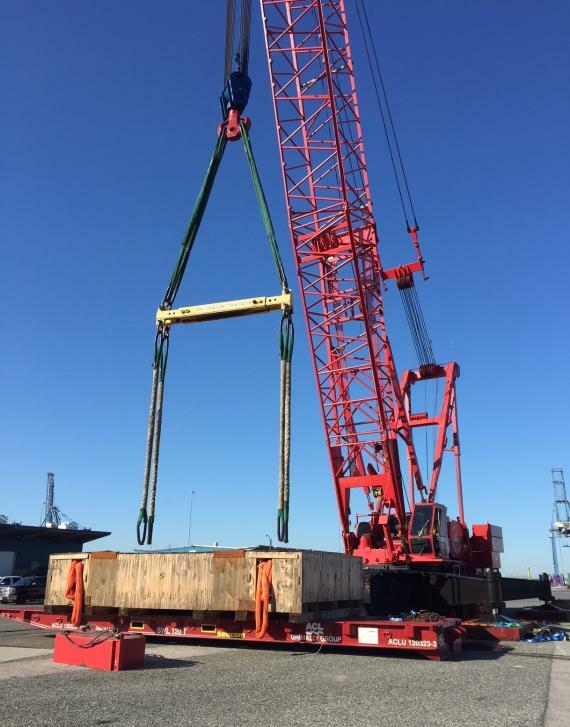 It took know-how and experience to stop, assess the situation, and devise a plan to get the plates lifted and rotated for the safe and successful delivery of the cargo. An innovative and successful solution from C.H. Robinson Project Logistics!